Since 1977, we’ve been known for making the most capable camera bags on Earth. We are proud of that legacy, and we are excited to present a new collection honoring some of our greatest products. Introducing Runyon and Pasadena, the first photo backpacks of our new Tamrac Traditions collection. A Throwback to the traditional school bag, Runyon is the ideal casual photo backpack for hiking a favorite trail or for an impromptu photo shoot around town. 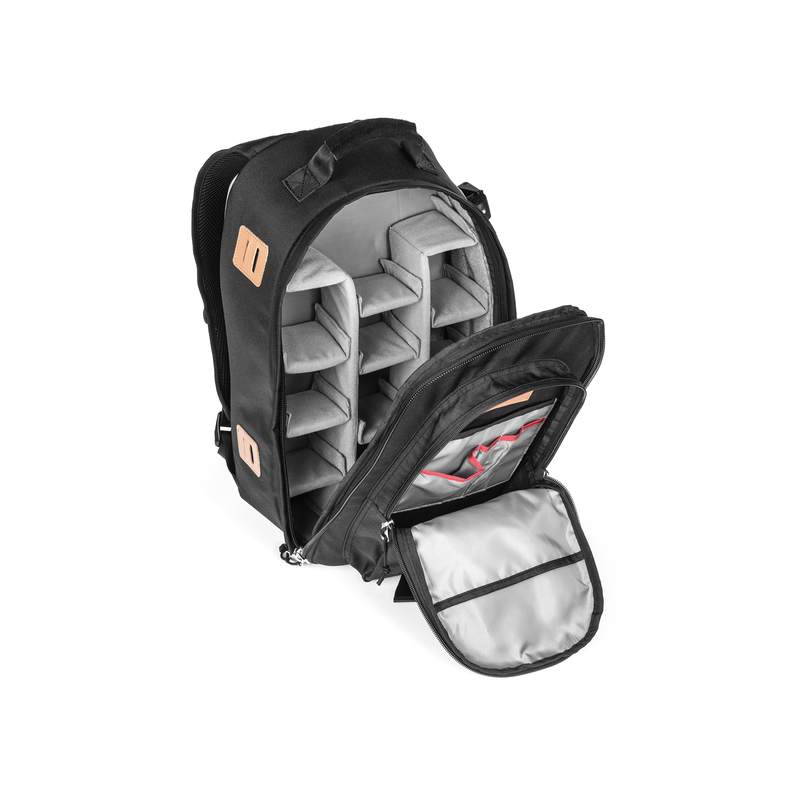 Carry a compact mirrorless or DSLR, multiple lenses up to 5" long, a flash unit, tablets up to 11", and all of the necessities, or remove the dividers and carry multiple water bottles, books, food, or anything else! Whether carrying camera gear, sports gear, or galavanting around time, Runyon lets you do it with style and ease. Our new vintage-inspired bags contain the latest Tamrac modular storage technology to create the perfect medium-sized photo backpacks for any sized adventure. Both bags hold 2+ cameras, 4+ lenses, and all the necessary accessories to be your new favorite all-around photo bag of choice. Pasadena isn't just the spiritual successor to the legendary #787. It's a full rework. We've used industry leading YKK® zippers, Duraflex® buckles, PVC-free TPU pockets and PU coatings, to optimize and modernize. 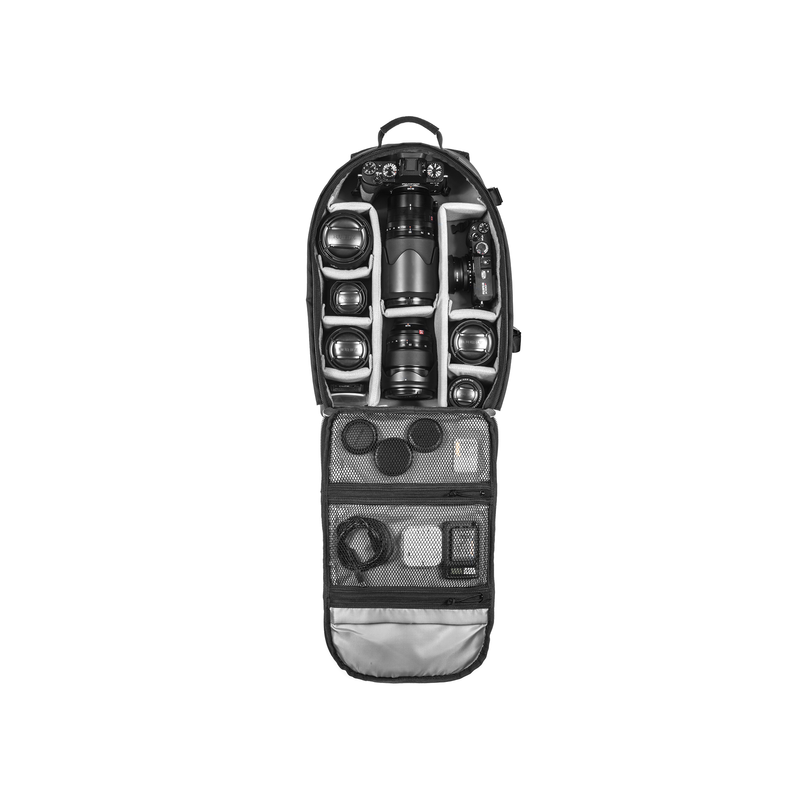 Pasadena fits multiple mirrorless camera bodies, lenses up to 15" long, flash units, laptops and tablets up to 13", in addition to the necessary accessories. 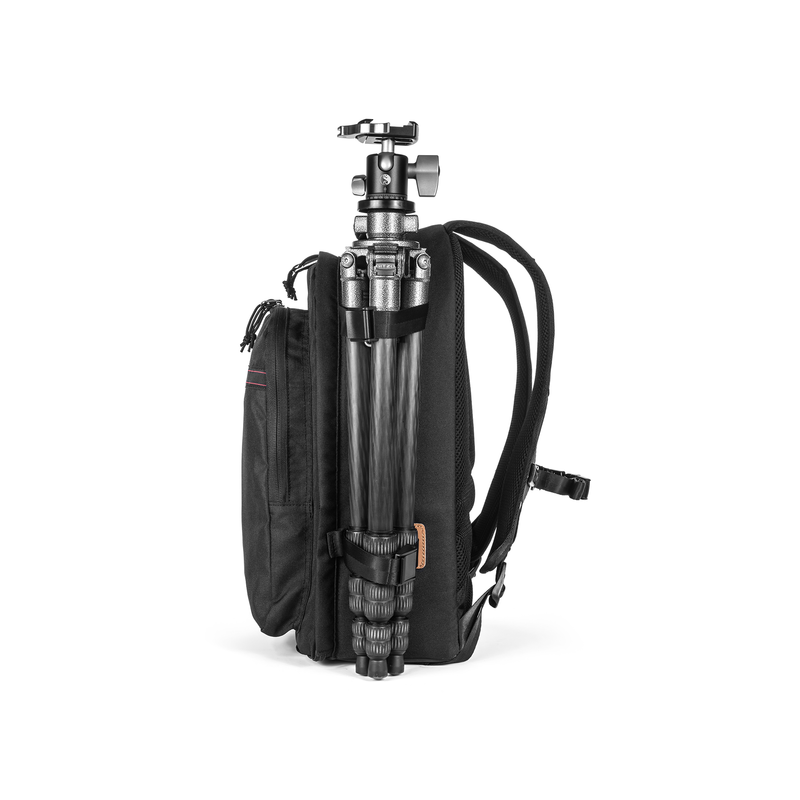 Easily strap a tripod or other large accessories to the outside of the bag, and carry multiple cameras, lenses, and a 13' laptop or tablet inside.